It's easy to fall into the trap of thinking that a bad credit rating is permanent. In reality, there are plenty of ways to improve your score with various agencies, making it easier for you to take control of your finances. 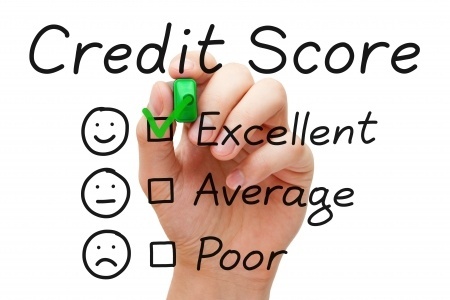 Credit scores are calculated by each financial institution according to their own specific criteria. However, there are a number of things you can do to enhance your reputation across the board. Whether you have the intention of heading to the polls or not, the electoral register is the first place financial institutions look when they want to find their customers. If you're not listed, they will be less inclined to lend. Visit About My Vote to register now. It's the fastest way to improve your credit rating. Any inaccuracies should be reported for correction. Providers can also add notes to explain, for example, a brief spell of unemployment. Have your say to make sure your credit report is not just true, but also fair. First, clear the slate by settling any outstanding county court judgements, and closing bank accounts you don't use. This will ensure you don't accidentally incur charges. Once your current status is clear, focus on building up a reputation: if you have never had credit of any kind, it might be worth getting a credit card for six months - making sure to repay in full every month. Comparing deals won't leave a trace on your credit report, but applying for credit usually involves allowing companies to complete credit checks. That will leave a footprint, and the more times you are checked, the more nervous lenders become. This is because it could be a sign of fraudulent activity or even desperation. Space out credit applications or, better still, avoid rejection altogether by choosing your lender carefully. A good credit score isn't about how small your debt is, it's about how reliably you pay it off. Missed payments are the cardinal sin of the credit report. That means if you're looking for credit, it could make more sense to rearrange a mortgage into more manageable payments, even if that means paying more interest in the long run. To work out how to effectively manage your payments, make sure you regularly monitor both your income and outgoings. Tools like Money Dashboard's free budgeting software are a great way to compare all of your accounts in one place. Get a clear view of where you can make changes to avoid missed payments, and you'll never worry about a credit report again.